BFC is the only group that exists solely to protect and defend wild bison. We have no other purpose. benefit all others in the bioregion. As the only group of people working to stop the slaughter and harassment of the last wild bison every day they are in danger, Buffalo Field Campaign has learned so much. We have gained unique perspective—and we feel a tremendous weight of responsibility to make a difference for these beleaguered animals. please explore this section of our website. Below, we describe our over-arching ideas, plans, and goals. Of course, our primary goal is to secure a healthy, thriving future for one of the world’s most iconic natural treasures: the plains buffalo. We fight for the last few thousand of a once mighty animal tribe that stretched across the North American continent. Defend and protect the last wild buffalo. Network with the tribes and strengthen the tribal voice in management decisions affecting wild bison. 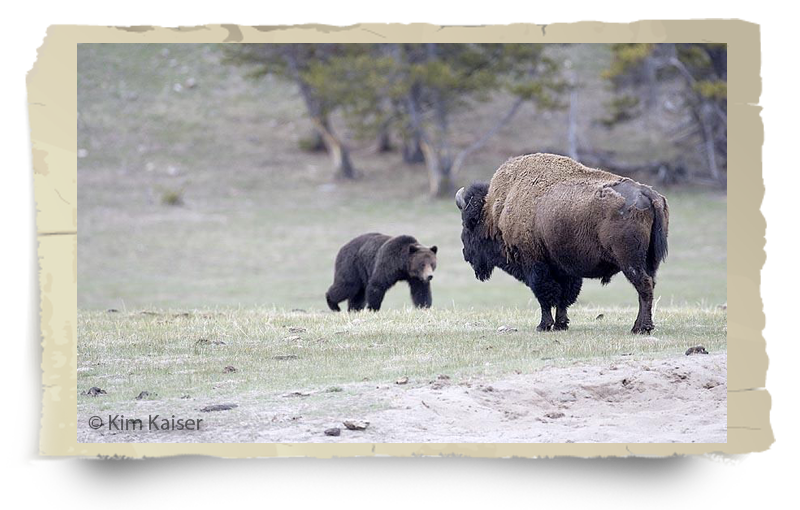 Raise public awareness about wild buffalo, the threats to their survival, and the need to preserve native Yellowstone habitat because the herds depend upon it for their existence. Build grassroots (public and other nonprofit) support to protect the Yellowstone bison herds and their native range. Inspire regional residents to act by donating land and securing conservation easements in vital buffalo pathways. Retire livestock grazing allotments and re-open historic habitat to wild bison. Generate public support for and involvement in the protection of wild bison and their native habitat. Influence politicians, legislators, and government agencies to change land use and wildlife policy for the benefit of the last wild buffalo by sharing the best available science with convincing emotion; and influence the global community to be a part of righting this injustice where the economic interests of a few cattle ranchers are prioritized over the will of a nation and the rights of a native species. We have collected volumes of writings and studies on buffalo conservation, the need to protect these majestic animals, and other historic data. Please explore the “Student Resources About Bison” section of our site if you are interested in this information. Here we offer you a concise breakdown or "road map" of our plans. 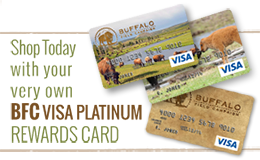 We hope that this and the other information in this section and throughout our website, give you an understanding of how and why we operate for the buffalo. We also want you to understand that beyond our passion we are focused, organized, strategic, and effective...for America's only continuously wild herds. Buffalo must be recognized as a valued native wildlife species in Montana and Yellowstone National Park, and legally designated as such in both jurisdictions. Any management of wild bison should be carried out by trained wildlife professionals without conflict of interest. The last wild herds should never be managed by a livestock agency or treated like cattle. Buffalo should be treated as wild elk are treated, and given year-round access to suitable habitat in Montana, Wyoming, and Idaho. The Montana Department of Livestock (DOL) must develop and implement brucellosis-proof management plans for all domestic cattle that continue to graze in and around the Greater Yellowstone Area, including the provision of wildlife proof fencing if necessary. This effort is to protect the last wild buffalo from cattle disease—NOT the other way around. 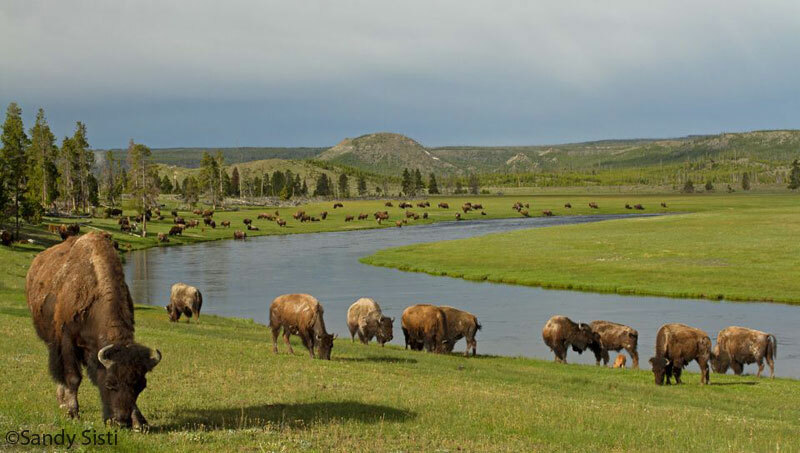 Native American tribes with a cultural, historical, or spiritual connection to the buffalo—must be included in all decisions relating to the management and recovery efforts of wild buffalo in Montana. The National Park Service should have sole management discretion for wild buffalo within Yellowstone National Park wihout pressure or interference from the State of Montana or the livestock industry. State and Federal authorities will develop an effective vaccine against brucellosis for cattle, and mandate use within the GYA to protect native species. Because the current property tax structure in Montana favors livestock production by providing tax breaks for agricultural use, landowners who allow wild buffalo to freely access their land should be offered similar tax incentives. Safe passage infrustructure such as under- and over-pass systems should be constructed to allow wildlife to cross roads and highways with a greatly reduced chance of collisions with moving vehicles. Wildlife migration corridors must be created through an innovative process of cooperation between public land managers and private landowners. This will allow wild buffalo and other species to safely travel within the Yellowstone area, and eventually, outside of the region. Because the problematic controversy over buffalo management today is a direct result of the transmission of brucellosis from domestic cattle housed within Yellowstone National Park to native wild buffalo at the turn of the last century, livestock producers and public administrators will ensure that cattle are unable to transmit diseases to native flora and fauna. Last, but certainly not least: US congressional representatives will fully fund the Endangered Species Act, including funds to list genus “Bison Bison” as an Endangered Species—with all of the resulting outcomes and protections. We have a great deal of work to accomplish together before this list is completed and the last wild buffalo herds are protected. It is this generation, our generation (yes, YOU!) that will decide the fate of America's last wild bison. Will you be a part of the solution? Will the buffalo face a long, cold future without protection? ...or will you help provide them the warmth and protection they deserve? Are you ready to pitch in and make it happen?